“Fringe” Cuff Bracelet. $255. SOLD. The warm days descend in a fall of water and light, the sun’s rays spread outward like the silvery fringe of the sky’s own shawl. Wings has crafted this cuff in the lines of the light, a single band striated into three-dimensional conjoined strands of silver fringe, all buffed a shade off Florentine. 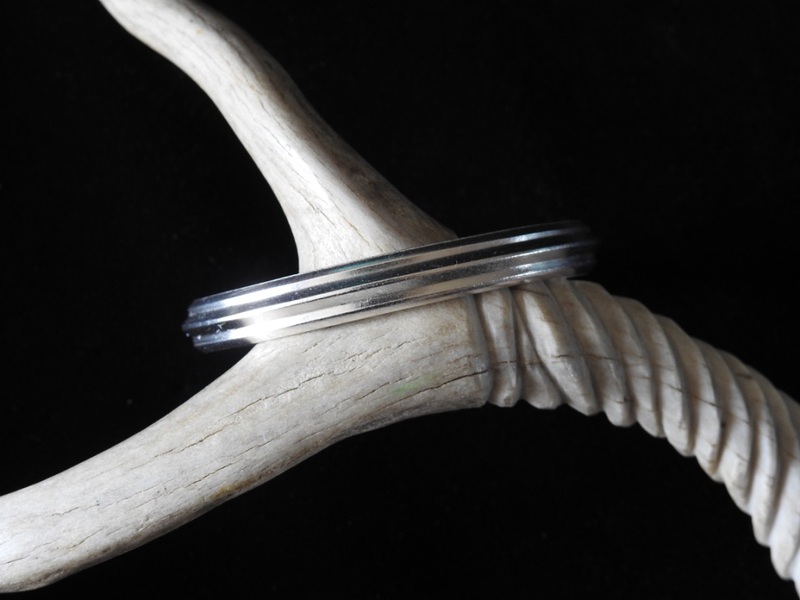 The simple band is formed of sterling silver ingot, hand-rolled and -milled to create one high raised center strand flanked by two less prominent ones, each arrayed to either side. The cuff is slender but solid, and still of sufficiently light weight to make adjustment easy. Band is 6 inches long by 1/4″ wide (dimensions approximate).